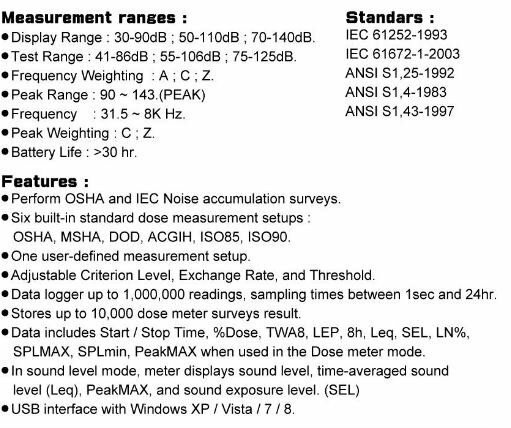 - Display Range : 30-90dB ; 50-110dB ; 70-140dB. - Test Range : 41-86dB, 55-106dB and 75-125dB. - Frequency Weighting : A ; C ; Z. - Perform OSHA and IEC Noise accumulation surveys. OSHA, MSHA, DOD, ACGIH, ISO85, ISO90. - USB Data logger .